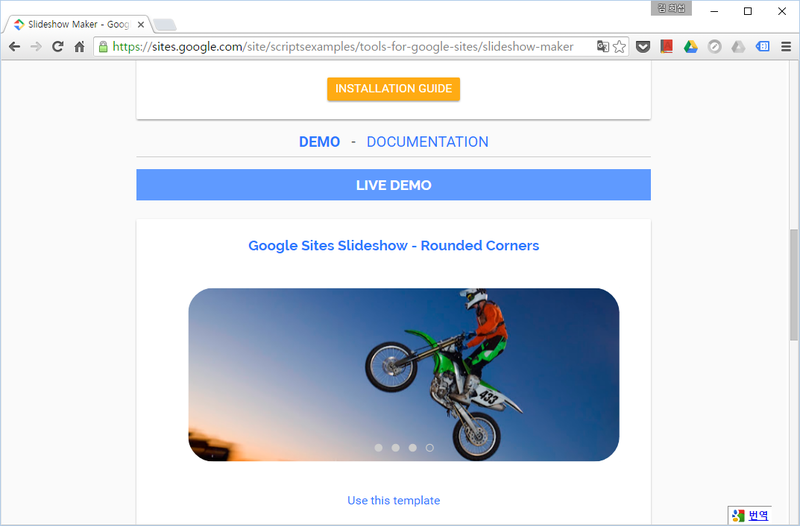 The gadget Slideshow Maker allows you to embed a Google Docs Presentation into a Google Site. Regarding the layout you previsously set in your Google Presentation, the slideshow will display images or texts. You can easily design as many styles as your imagination is able to create.